I see what you mean about scratchy, but I like it. This era is always so 'tightly' lined in photography anyway it is nice to have that softness. Plus love the purple. A fight poster for fun. 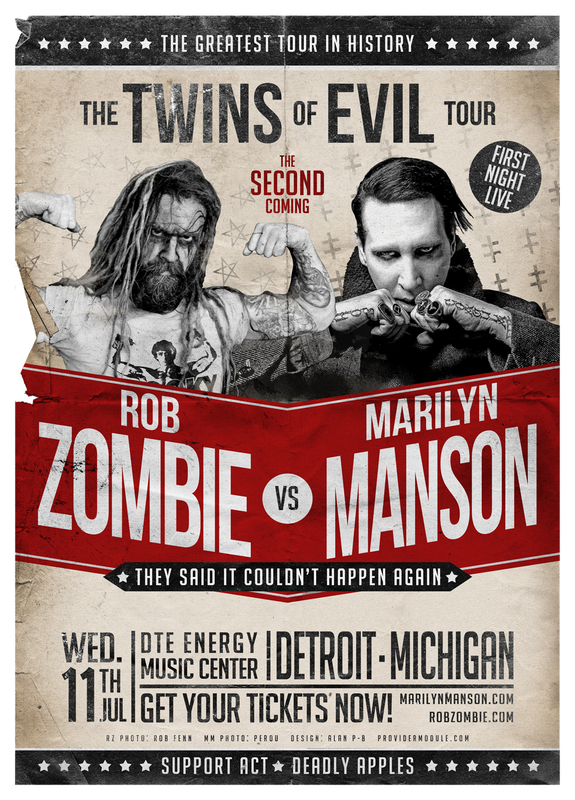 Manson and Zombie got no issues and can laugh about history, this poster was generated from the humour and misunderstanding amongst fans who assume there's more to it. lol.